The attorneys of Schlueter, Mahoney & Ross, P.C. 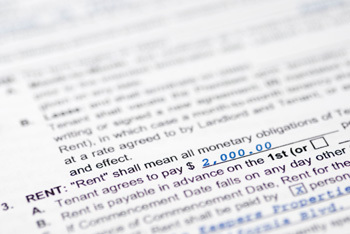 represent landlords and tenants alike in lease negotiations and lease disputes, for commercial properties. Whether the parties are negotiating a commercial lease, or disputing the terms of an existing agreement, both sides have specific rights and obligations that must be considered. In determining each respective parties’ rights and obligations, disputes often arise. In these situations an experienced landlord/tenant attorney can be a crucial advisor and negotiator. Our attorneys represent clients in the negotiation, drafting, and execution of commercial leases with an emphasis on attempting to prevent later lease disputes. If disputes do arise, however, we work diligently to protect our clients’ rights in scenarios involving, unpaid rent, abandonment, property damage, security deposit disputes, or failure to conduct repairs. Our attorneys navigate our clients through the various Colorado statutes that regulate different parts of the landlord/tenant relationship. In connection with commercial leases, specifically, we also work to resolve disputes related to CAM charges, build-out, easements, facility usage, signage and security matters. Our attorneys know how to advise our clients in advance to protect their rights and remedies and how to enforce those rights and remedies if the need should arise.